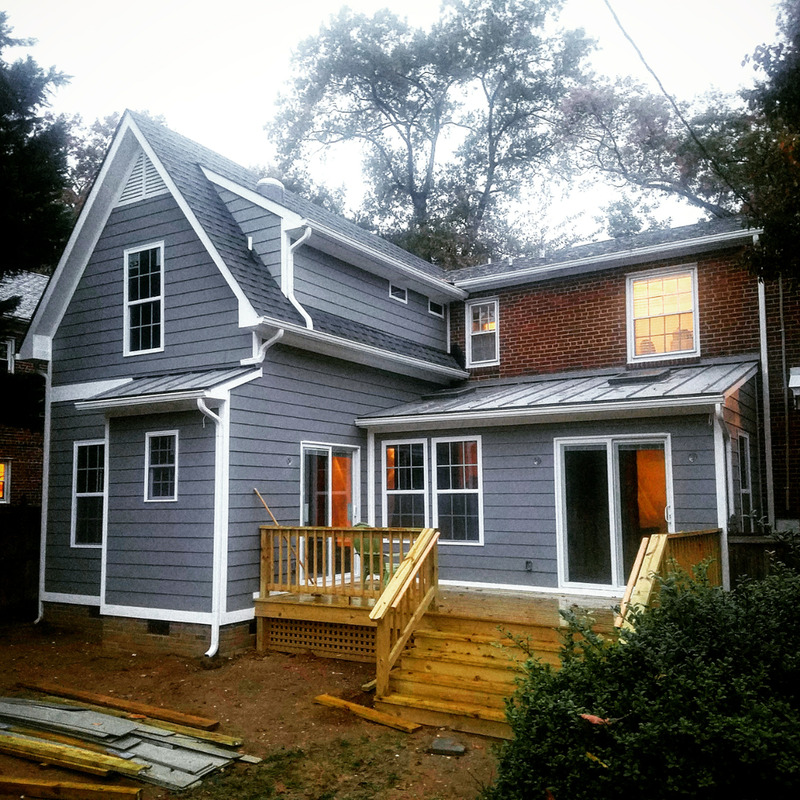 Park Avenue Home Addition - From design, though build, Maison offered a complete turnkey solution for this customer looking for some added space and functionality in their 1940's Richmond West End home. 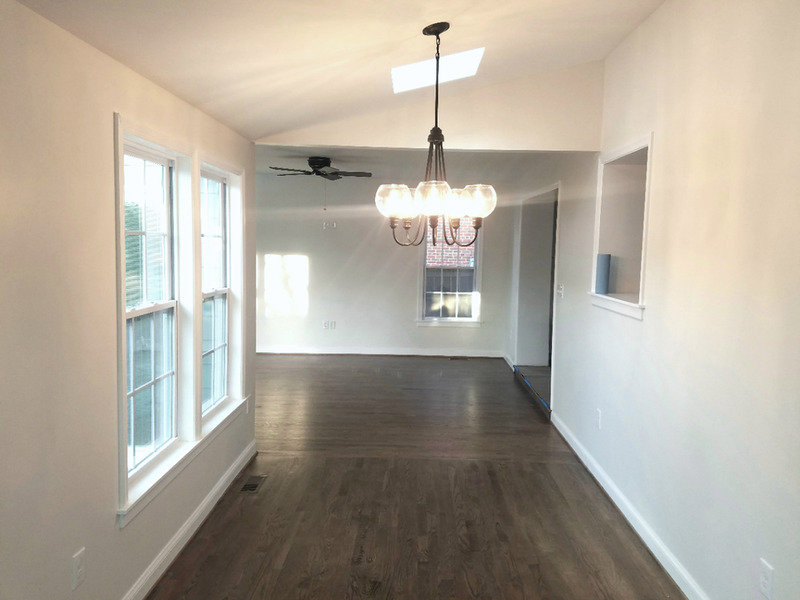 On the first floor, the addition included a new living and dining space perfect for entertaining and relaxing, along with a much needed half bathroom, and exterior deck. The second floor addition expanded off of the existing master bedroom to add a luxurious master bath and expansive walk-in closet. Matoaka Road Master Bath - This bathroom renovation started with a complete gut of the original 1960's bathroom down to the studs. 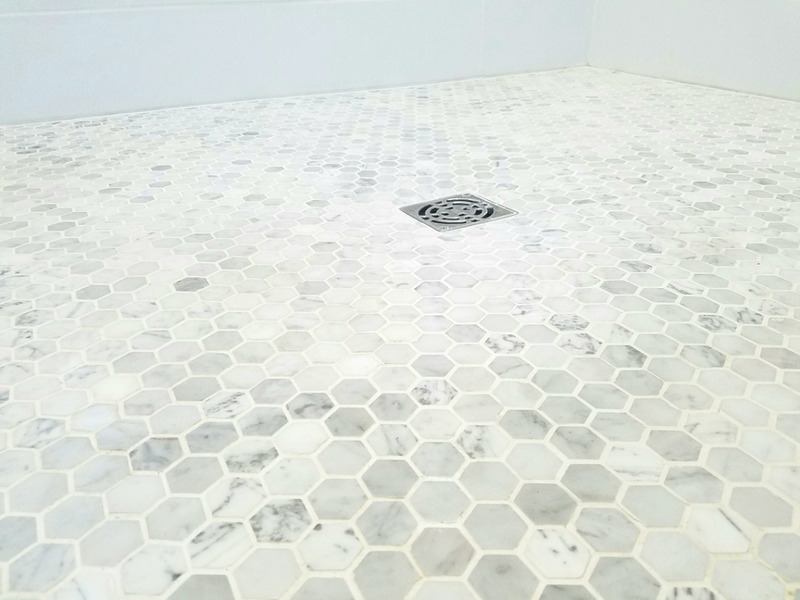 Carrera marble was the material of choice, and was used on the floors, shower walls, and vanity top, resulting in a very elegant and timeless look. 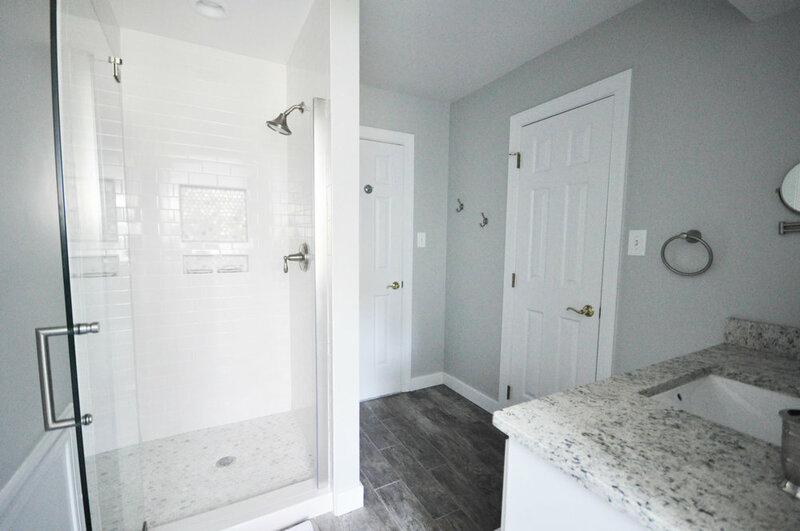 Other luxury features such as a jetted Kohler tub, handheld shower, and heated tile floor completed this master suite spa oasis. 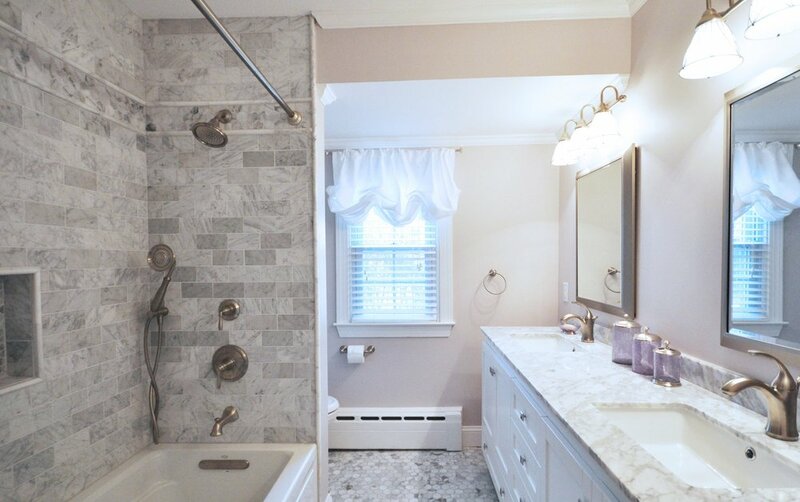 River Road Bathroom - This Jack-and-Jill bathroom was completed renovated, starting from the original builder's grade fixtures from the 1990's in this River Rd. area home. 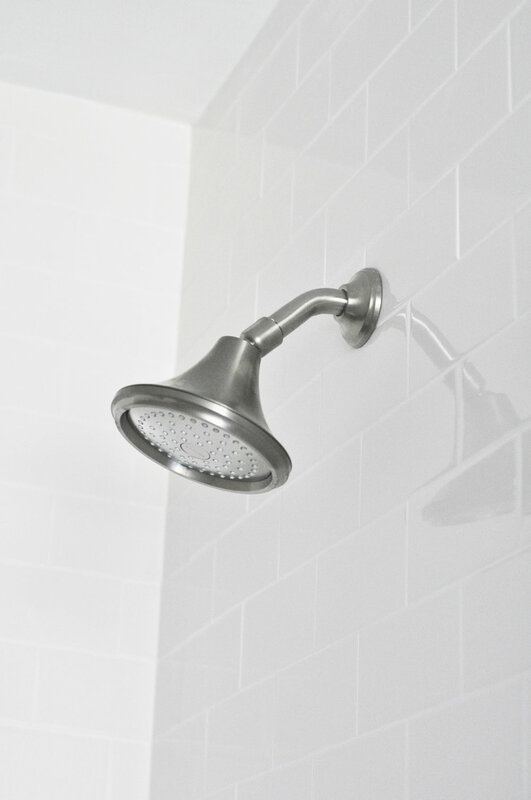 The shower was completely rebuilt with dual custom built-in soap niches, subway tie walls, mosaic marble floor, and frameless shower door. 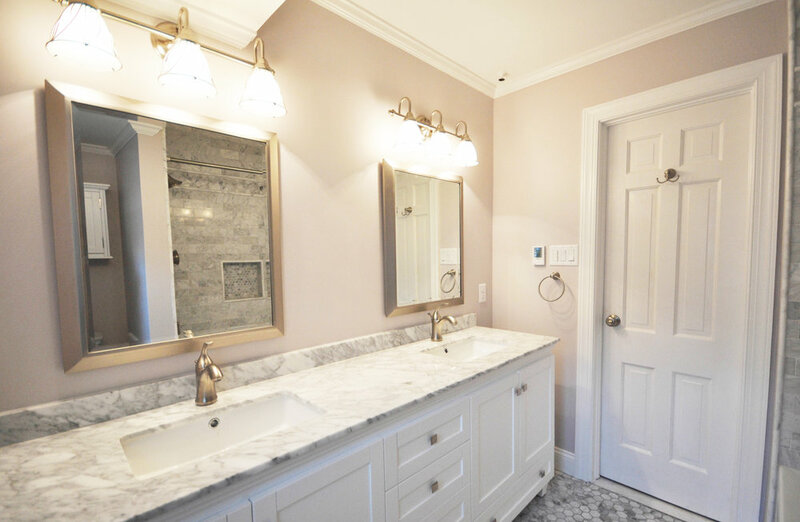 The vanity included soft-close doors and drawers with dove-tailed drawer boxes, and topped with a custom cut piece of granite, and under-mount rectangular sink. 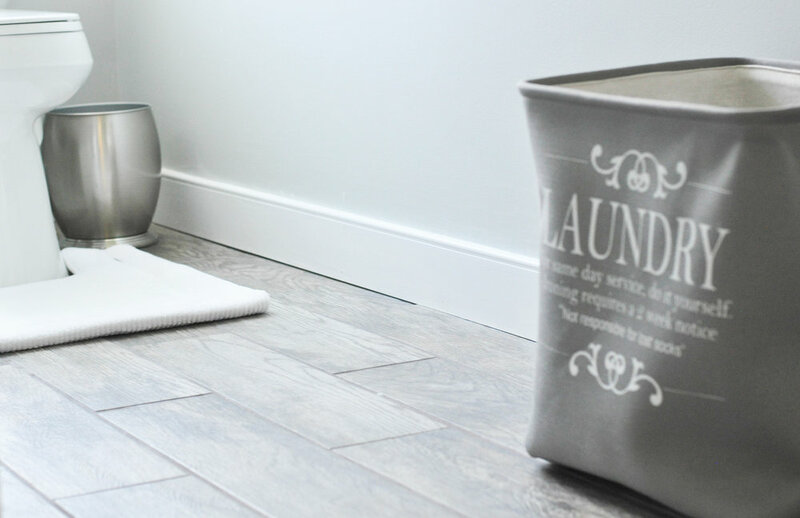 Wood-look ceramic tile floors were chosen to complete the update of this elegant and functional space. 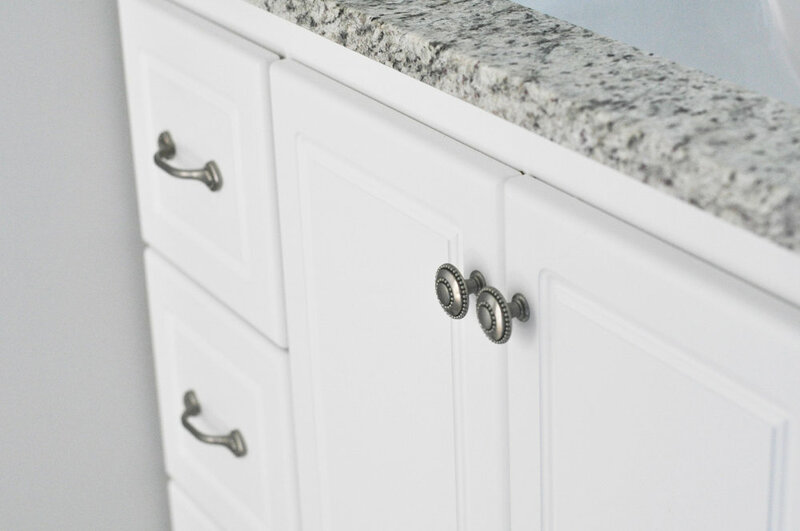 Bromley Lane Kitchen - White Shaker Kraftmaid cabinets provided ample storage, functionality, and classic style in this galley kitchen remodel. 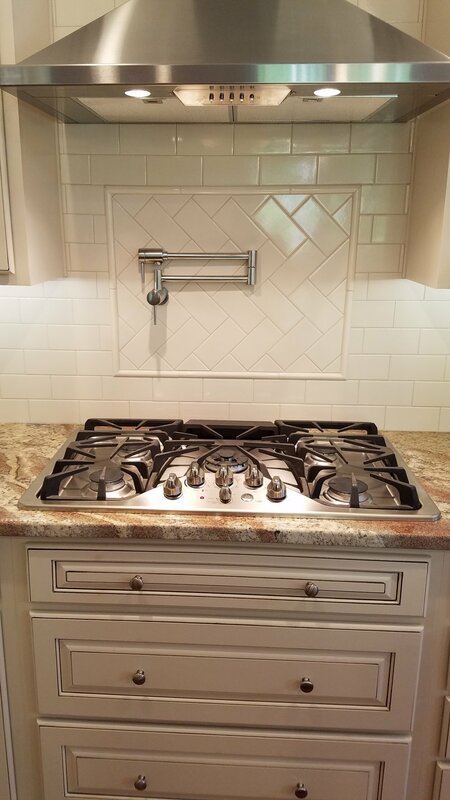 To offset the white cabinets, and subway tile backsplash, durable black granite countertops with a matte finish were selected. 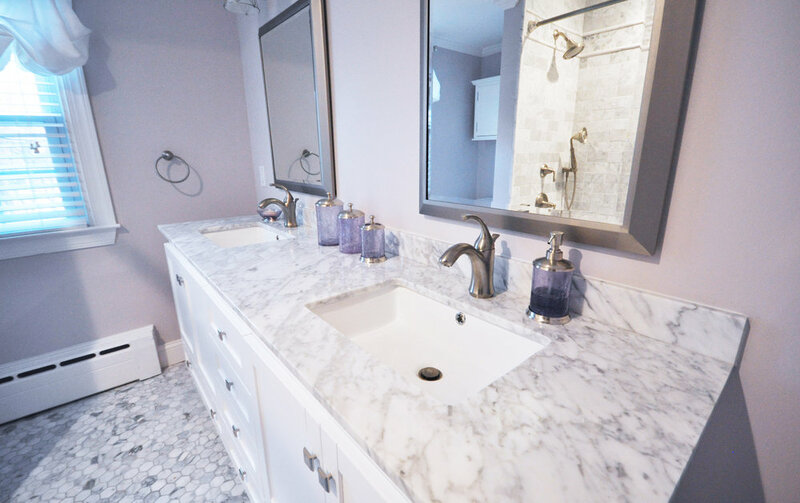 Kohler farmhouse sinks and bridge-style sink faucets, and a professional grade stainless Wolf range completed the modern, yet classic look. Manakin-Sabot Home Addition and Remodel - This 1980's home was in need of considerable modernization, and some extra square footage. A 20' interior wall was removed to create an open-concept living space between the kitchen and family room area resulting in a light, airy and bright heart of this home. On the opposite side of the home, a complete master suite was added on including a large master bedroom with fireplace, spa bathroom with zero-entry shower, and his and her closets. 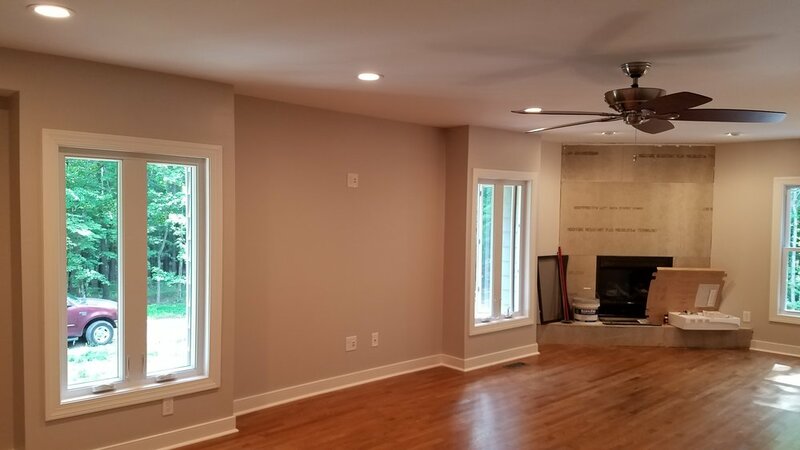 In the rest of the house, popcorn ceilings were removed, followed by fresh paint, refinished hardwoods, and updating of bathrooms, laundry, and bedrooms. Stuart Ave Home Complete Home Remodel and Addition - A complete home remodel from top to bottom, along with a 700 square foot, 2-story addition. This home was taken from a 1950's small, and compartmentalized floor plan, to a completely modernized open-concept. 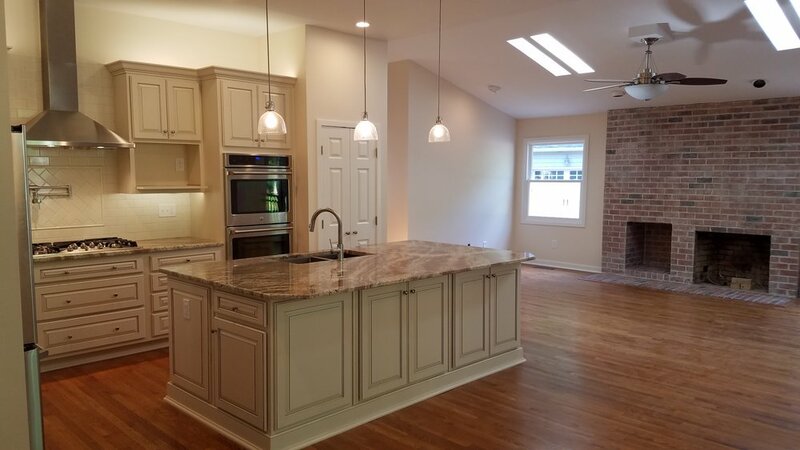 The kitchen was relocated to the addition on the rear of the first floor, and side French door entryways were added to both sides of the downstairs living space to provide ample natural light, and expand living outdoors. 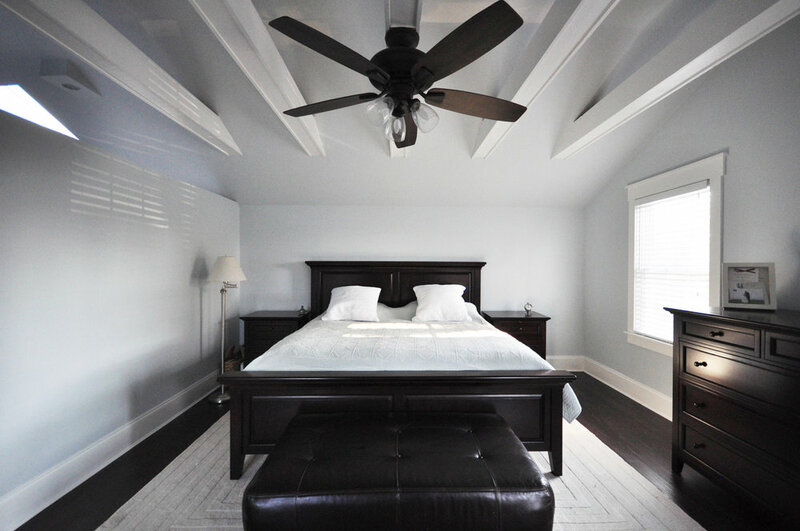 A large master suite was added upstairs encorporating a luxurious, transitional master bath adjacent to a large bedroom with vaulted ceiling, and large walk-in closet.